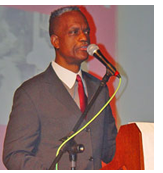 Published on May 2, 2013 in Africa, General T&T, Race and Identity and Racism Watch. Closed Tags: Africa, African, Selwyn R. Cudjoe, Tony Martin, USA. I met Tony Martin when I arrived at Harvard University in 1976. Although we were both born in Trinidad, we had not met each other prior to that time. Tony was born in Port of Spain, the capital of the country; I was born in Tacarigua, a village about twelve miles east of Port of Spain. Tony had studied at St. Mary’s College, one of the elite colleges of the country; I had remained at St. Mary’s Anglican Church School, as a pupil teacher or practicing teacher under supervision of other teachers. In the course of things, Tony went off to England “to further his studies” as we say at home. I went to the States. By then he had written Race First: The Ideological and Organizational Struggles of Marcus Garvey and the Universal Improvement Association, a book that came to define his scholarly career and which the late, great John Henrik Clarke described as being “close to a definitive study of Marcus Garvey as we have seen.” Other than our mutual national origins, my interest in Tony Martin grew because I was using Race First in my class and wanted to know more about Tony and what had gone into the writing of his book. In December of 1987, a year and a half after I arrived at Wellesley, Tony presented me with a copy of his book that was inscribed, “To a brother and a colleague, with Best wishes.” I still possess a copy of that book, but this is getting ahead of my story. Published on February 13, 2013 in Africa, Caribbean, General T&T, Passed on, Race and Identity, Racism Watch, Religion and USA. 2 Comments Tags: African, Selwyn R. Cudjoe, Tony Martin. Tony Martin, an inspiration to his students and many of his colleagues, was a foundation member of the Africana Studies Department at Wellesley College. He believed in the integrity of the discipline and the principle of departmental autonomy. A meticulous scholar, his work on Marcus Garvey, particularly Race First, changed the depiction of Garvey in Caribbean and American historiography. A staunch nationalist and Pan Africanist, he took pride in his race and the principle of self-reliance that were embodied in Africana scholars such as Garvey, Malcolm X, Walter Rodney and C.L.J. James. Published on January 29, 2013 in Caribbean, Education, General T&T, Passed on, Race and Identity and Racism Watch. Closed Tags: Africa, African, Tony Martin. 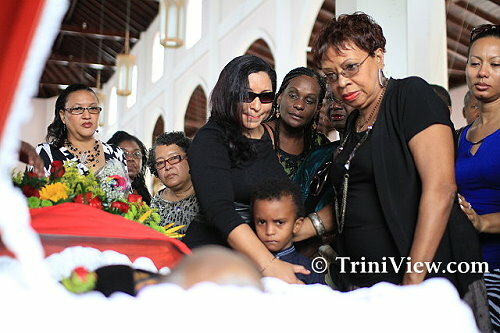 The Celebration and Thanksgiving Service for the life of Professor Dr. Tony Martin was held on Friday 25th January, 2013, at St. Theresa’s Church Woodbrook. Friends, family, historians and activists gathered to pay their respects to the Trinidad-born scholar best known for his work on Marcus Garvey.